The brain can play tricks on you. so can the world. Choices are made and behaviors are formed. Who are you, really? Only God knows. God, the Creator know what makes you tick. This month I started the 21 Day Brain Detox, an online daily guide to a toxic free brain. I recommend the course. I’ve finished it and I’m doing it again. Why? I’ve learned that what goes into the brain has to be checked daily. While I was doing this course the second time around, it seemed as if I was doing it for the first time. I kept asking myself, ‘I don’t remember this….’ Could it be that my brain had developed a new perspective and that the changes in my thinking actually changed my brain? One thing I know is that it takes more than sheer will power to change and be transformed, it takes a connection to a higher power. Dr. Caroline Leaf, the creator of the 21 Day Brain Detox paved the way for her current research on how scientific principles are supported by Scripture and vice versa. About… Dr. Leaf is a communication pathologist who has worked in the area of cognitive neuroscience since 1985. She is a pioneer in neuroplasticity – The medical definition of neuroplasticity is the brain’s ability to reorganize itself by forming new neural connections throughout life. 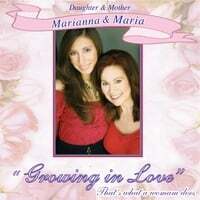 ~ “By controlling the direction of your mind, you control the direction of your life. ~ It’s not who you Are… but who you have Become. Detox your brain and your life! 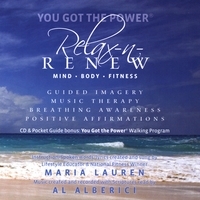 Relax-n-Renew is a mix of Soothing Music, Visualizations and Bible Verses, by Al Alberici and Maria Lauren.